I heard it again yesterday in a Sunday morning message: the Pharisees were really, really good at keeping the Law, but at the end of the day Jesus said that our righteousness must surpass that of the Pharisees. Alas, proof that we can’t be justified by keeping the Law (which no one would argue with). The pastor, in this message that is one of many in his series on The Sermon on the Mount, even said something like this: “The Pharisees’ efforts at keeping the Law wasn’t the issue, they were good at keeping the Law.” But is that true? And by the way, considering who the audience was at that church (primarily saints gathered for worship and the hearing of the word), and the fact that his topic was the role of the Law in Christian living, why was he even discussing justification in that context? Based on his view of the Pharisees and their supposed efforts to be justified by keeping the Law, one of his statements to *us* was “you don’t keep the Law by trying to keep the Law.” Hmmm, really? We certainly are not justified by “trying” to keep the Law, but should we try to keep the Law in order to please and obey our Lord? Yes, I think so. Now, I don’t know this pastor very well, but I know him well enough to know that he wouldn’t dream of synthesizing justification and sanctification, but due to the fact that our present church culture is awash in an antinomian doctrine that does just that, are pastors propagating such a synthesis unawares? Yes, I think so. In his sermon notes, the top of the page has statements like ”Things Jesus wants us (“us” would presumably be Christians) to know about the Law.” The top part of the notes are also replete with “we” in regard to the Law, but the bottom part has statements like: “We live in the Age of Grace; salvation is not of works,” but yet, the whole message clearly regards the role of the Law in the life of a Christian. Therefore, whether unawares or otherwise, he clearly extended the relationship of the Law in regard to Justification into the realm of sanctification. Here is where we must call on our good friend Jeff Foxworthy who developed a program for helping people who may be rednecks but don’t know it. He presents several different questions from different angles of thought, and depending on the answers to the questions, “you just might be a redneck.” Likewise, if you misrepresent the Pharisees, you just might be an antinomian without knowing it. “Anyone who breaks one of the least of these commandments and teaches others to do the same will be called least in the kingdom of heaven, but whoever practices and teaches these commands will be called great in the kingdom of heaven. For I tell you that unless your righteousness surpasses that of the Pharisees and the teachers of the law, you will certainly not enter the kingdom of heaven” (Matthew 5:19,20). The Pharisees were not proficient at keeping God’s law outwardly. In fact, they didn’t do so at all, but rather propagated teachings that were “rules taught by men.” Therefore, the Pharisees were guilty of neglecting the true Law and teaching others to do so (Matthew 5:19). They were not the poster-children for some campaign to demonstrate the futility of Law-keeping, especially in regard to believers. In fact, Christ said their lax attitude toward the Law was indicative of those who will not enter the kingdom. For this reason the Pharisees were not the greatest in heaven as the masses supposed, but the least, if they were even in the kingdom at all. Therefore, when Christ told the crowd that their righteousness must exceed the righteousness of the Pharisees, He wasn’t talking about the imputed righteousness of Christ that the Pharisees were supposedly trying to obtain themselves for salvation (besides, they were not attempting to do that to begin with as I have demonstrated), but rather the true righteous behavior demanded of kingdom citizens. If Christ was talking about an imputed righteousness (for sanctification), why would He have not simply said so? For example: “Your righteousness must not only exceed that of the Pharisees (which wouldn’t have been hard to do anyway, and therefore by no means a profound statement by Christ), but ( a contrast conjunction) must be a righteousness that comes from God alone”…for sanctification. If you misrepresent the Pharisees as the first century poster-children for “let go and let God theology” because they supposedly tried to keep the Law, you just might be an antinomian. But in part two, we discuss another question that may give credence to the possibility: Do you misrepresent obedience as outward alone? Well then, you just may be an antinomian. Listen to audio or download audio file. If you would like to add to our lesson or ask a question, call (347) 855-8317. Remember to turn your PC volume down to prevent feedback. If you choose to use Skype to listen to the show, my advice is to just dial direct from your Skype account without using any of the Blogtalk links. 347-855-8317. If you would like to comment on our subject tonight, you can also email me at paul@ttanc.com. That’s Tom, Tony, Alice, Nancy, cat, paul@ttanc.com. I have my email monitor right here and can add your thoughts to the lesson without need for you to call in. You can post a question as well. Galatians 2:20 is the go-to verse for all stripes of progressive justification. For those who seek to live an aggressive sanctification and life of fearless love, its constant twisting by proponents of progressive justification is an ongoing nuisance of biblical proportions. This episode attempts to end the argument once and for all. First, what is our specific beef with this notion? 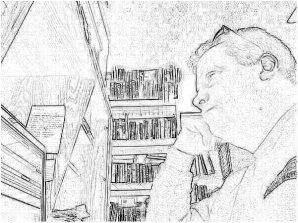 Ok, so folks have a passive view of sanctification (Christian living); so what? The so what follows: a passive approach to sanctification assumes that justification is an unfinished process, and therefore, any actions by “saved” people must not circumvent the justification (salvation) process. That’s default works salvation because we are involved in keeping the salvation process going, albeit doing nothing with intentionality. This is the crux of the Protestant gospel; justification by faith. We are justified by faith alone in the same gospel that saved us because not doing anything but believing is supposedly a faith alone work. But not doing anything with intentionality is doing something—that’s the problem. And as we will see, the biblical definition of faith is contrary to the Reformed definition of faith. Let me walk you through our process tonight. We will begin by looking at the proper interpretive method that must be used in rightly dividing Galatians 2:20. Then we will look at the proper context, followed by the right definitions of the words used in the verse resulting in correct interpretive conclusions. Let’s look at the proper interpretive method for rightly dividing Galatians 2:20. We call this hermeneutics. Whenever we read our Bibles, we must ask ourselves if the context is justification or sanctification. What is the difference? Justification, unlike the Reformed definition, is a state of being brought about by the new birth. It is not merely a legal declaration that changes our status. The Bible uses the words “justification” and “righteousness” interchangeably. Know the difference between the Biblicist remedy to prevent legal fiction, and the Reformed remedy to prevent legal fiction. The Reformed remedy states that the declaration is not legal fiction because the righteousness of Christ is imputed to the “believer” and substitutes the believer’s righteousness with the righteousness of Christ. This is Martin Luther’s alien righteousness and the Reformed doctrine of Christ for us. Even though the saint remains a sinner, Martin Luther’s Simul iustus et peccator, or simultaneously saint and sinner, covers the believer with the righteousness of Christ. In Reformed thought, the standard of this righteousness is the law. The Biblicist remedy doesn’t cover sin, it ends it. The standard for righteousness in being justified is the new birth, not the law. We are not only declared righteous, we are righteous because we are born again into the literal family of God. In essence, the Trinity became a family. That’s huge. For eternity the Trinity was only one between the three of them, but their remedy for sin was to make mankind one with them as a family. In the plan of salvation, in the election of the salvific plan, God became a Father, and the Messiah became a Son. This nomenclature denotes the plan of salvation specifically; God not only redeems man, He makes Him His literal family through the agency of the Holy Spirit. Hence, righteousness is not a declaration made true by a double substitution, it is true because the new birth makes us righteous; it is a state of being, not a mere forensic declaration. The new birth is a onetime event that results in the Spirit living within us forever. Our hearts are truly redeemed, but we are still weak and therefore susceptible to breaking the law. Yet, we are righteous because God’s seed dwells within us, and the law’s ability to judge us has been cancelled. More on that later. Therefore, Scripture verses must be interpreted by the context of justification or sanctification. Does the verse pertain to the new birth which is a onetime finished event, or the Christian life which is ongoing? What is the difference between the two? Simply stated, one is a gift, and the other is a reward. Does the context speak of the gift, or what we do to earn our rewards? Does the context speak of the finished work of salvation, or our endeavor to live in fearless and aggressive love followed by its rewards and blessings? Let’s define the difference by defining the lost versus the saved; the unrighteous versus the righteous. The two have a different master, a different reward, and a different law. The master correlates to the wages received according to their slavery. In contrast, Christ purchased all men with His blood by paying the penalty for sin. He has effectively purchased all slaves from the other slave master. You were “bought with a price.” If you believe this, you are now a slave to the new Master through the new birth. You can only receive wages for life, and there is no condemnation. As Christians, our goal is not to stop doing sinful things; our goal is to gain things pertaining to life. Christians focus on sin way too much—our focus should be love. Peter said that “above all” focus on love because love covers a multitude of sins. The Bible is now our guide for loving God and others, and does not condemn us. Moreover, salvation is not a mere assent to the facts of the death, burial, and resurrection of Christ, it is a decision to follow Christ in death and resurrection through the baptism of the Holy Spirit that results in the new birth and the permanent receiving of the Holy Spirit. The old you literally dies and you are resurrected a new person. Amazingly, lost people know this intuitively; the most common reason that the unregenerate don’t want to become saved is because they know it means giving up their present life, and being resurrected to the uncertainty of being a totally new person sold out to the kingdom. I believe that to be the focus of Christ’s exchange with Nicodemus in John 3. And this is also the focal point of Galatians 2:20. Proponents of progressive justification use this verse to refute Biblicism which proffers a radical dichotomy between justification and sanctification. But in truth, Paul is attacking the Galatian error of progressive justification which substitutes the believer’s love in sanctification for a ritual that keeps justification moving forward. It’s the exact same error propagated by the Reformation. The context is Paul’s rebuttal regarding how the Galatians were attempting to be justified. Justification is clearly the context. The fact that Paul is addressing the subject of justification in the body of text where Galatians 2:20 resides, is clearly evident (three times alone in Galatians 2:16, Galatians 2:17, 2:21, 3:8, 3:11, 3:24, 5:4). The Galatians were being led away into error via a justification which has law as its standard. It’s the same old song and dance with progressive justification; some sort of ritual or tradition fulfills the whole law which is not the standard of justification to begin with. Galatians 2:15 – We ourselves are Jews by birth and not Gentile sinners; 16 yet we know that a person is not justified[b] by works of the law but through faith in Jesus Christ, so we also have believed in Christ Jesus, in order to be justified by faith in Christ and not by works of the law, because by works of the law no one will be justified. 17 But if, in our endeavor to be justified in Christ, we too were found to be sinners, is Christ then a servant of sin? Certainly not! 18 For if I rebuild what I tore down, I prove myself to be a transgressor. Galatians 5:7 – You were running well. Who hindered you from obeying the truth? 8 This persuasion is not from him who calls you. 9 A little leaven leavens the whole lump. Of particular interest to further the point is Paul’s assertion as to what actually fulfills the law; LOVE, not ritual or tradition, especially since we are not justified by the law to begin with. Now, as we move into the focal point of Galatians 2:20, it is important to define the words used in the verse. I am crucified with Christ: nevertheless I live; yet not I, but Christ liveth in me: and the life which I now live in the flesh I live by the faith of the Son of God, who loved me, and gave himself for me (KJV [nevertheless I live excluded by ESV]). The old I was crucified with Christ, but nevertheless the new I lives, not the old I, but the new I that is indwelt by Christ. The new I lives by faith in Christ who loved me and died for me. James 2:14 – What good is it, my brothers, if someone says he has faith but does not have works? Can that faith save him? 15 If a brother or sister is poorly clothed and lacking in daily food, 16 and one of you says to them, “Go in peace, be warmed and filled,” without giving them the things needed for the body, what good is that? 17 So also faith by itself, if it does not have works, is dead. This is the EXACT same faith that is advocated by progressive justification soteriology in general, and Reformation soteriology in particular; a faith without works that invokes some kind of substitution for our works in sanctification. And they love to use Galatians 2:20 to promote it. Last week, we looked at this in-depth through the ministry of one of the more mainline evangelical churches; John MacArthur’s Grace to You ministries. We deconstructed a sermon on Galatians 2:20 by one of the ministry’s most prominent leaders, Phil Johnson, [also see Part 2 here]. In his Reformed run of the mill evaluation of the verse, he advocated the idea that it is a paradox; Paul was speaking of one man that is both dead and alive. Because of Christ, we are dead to the law because Christ fulfilled the law for us. We are alive when Christ’s fulfillment of the law is imputed to us in sanctification. Justification does not change the person in any way, shape, or form, but because of Christ, we are dead to the law for justification and alive to the law in sanctification because Christ fulfills the law in our place. There is no real exchange of masters because justification does not change us; the other Master, Christ, is a servant for us while we remain a slave sold under sin. As John Piper once stated it, Christ is a school teacher that does our homework for us, and takes the test for us as well. He is also, for all practical purposes, a Master who purchased us with His blood, and then does our work for us. Again, it’s a matter of several single perspectives that unites what God separates. And in fact, the Reformed state constantly that Christians are still enslaved to sin. This also unites gift and reward making salivation the reward for living by their definition of faith alone. This makes faith alone a work for purposes of earning our salvation. It is doing nothing with intentionality because love in sanctification is deemed works salvation. The servant is not free to love. The servant is not free to serve the other Master because he/she is still under the law that cannot be kept perfectly. But, it is love that fulfills the law, not law-keeping. Hebrews 6:9 – Though we speak in this way, yet in your case, beloved, we feel sure of better things—things that belong to salvation. 10 For God is not unjust so as to overlook your work and the love that you have shown for his name in serving the saints, as you still do. 11 And we desire each one of you to show the same earnestness to have the full assurance of hope until the end, 12 so that you may not be sluggish, but imitators of those who through faith and patience inherit the promises. Note that God would be “unjust” in not rewarding their love and servitude. Why? Because sanctification is about the earning of reward while justification is a gift. Scripture must be interpreted according to the context of justification or sanctification accordingly. Faith works in love. Faith works—this is not mere contemplationism or faith in Christocentric facts, it’s a working faith that we will be rewarded for. Let’s now define how faith works by, or through love. It’s the freedom to obey the law of the Spirit of life as opposed to the law of sin and death that the new man was under (Romans 6:14 and 8:2). This is what fulfills the law, not a dumbed down tradition. This is why Christ said that our righteousness must surpass that of the Pharisees; it must be a righteousness that works through love and fulfills the law accordingly. Not that the law is a standard for justification to begin with, but this is set against the idea that it is. The new birth frees the saint to aggressively love through obedience without any fear of condemnation. Because the Pharisees sought to fulfill the law with their traditions, they relaxed the law and ignored its weightier tenets of mercy and love. As a result, they were rank antinomians on the inside and the outside (Matthew 23:28, Luke 11:39), and just another example of those who hold to progressive justification. Romans 7:7 – What then shall we say? That the law is sin? By no means! Yet if it had not been for the law, I would not have known sin. For I would not have known what it is to covet if the law had not said, “You shall not covet.” 8 But sin, seizing an opportunity through the commandment, produced in me all kinds of covetousness. For apart from the law, sin lies dead. 9 I was once alive apart from the law, but when the commandment came, sin came alive and I died. 10 The very commandment that promised life proved to be death to me. 11 For sin, seizing an opportunity through the commandment, deceived me and through it killed me. 12 So the law is holy, and the commandment is holy and righteous and good. Sin is empowered by its ability to condemn through the law (1Cor 15:56). Sin is empowered and alive via condemnation. The person who is not reborn is under the law and its condemnation. Sin is still empowered by its ability to condemn through the law. This is why Christ came to end the law (Romans 10:4). Regardless of what kind of front the institutional church is able to erect, progressive justification keeps people under the law, under the Sin master, and the law itself will only provoke and promote sin. Romans 7:1 – Or do you not know, brothers—for I am speaking to those who know the law—that the law is binding on a person only as long as he lives? 2 For a married woman is bound by law to her husband while he lives, but if her husband dies she is released from the law of marriage. 3 Accordingly, she will be called an adulteress if she lives with another man while her husband is alive. But if her husband dies, she is free from that law, and if she marries another man she is not an adulteress. I am crucified with Christ and no longer under the law that enslaved me to sin, nevertheless I live according to the new way of the Spirit; yet not the I that was under the law, but the I with Christ living in me because I died to the law through His body: and the life which I now live in the flesh I live by faith working through love according to the Spirit’s law of life. This is a fair paraphrase unless you want to totally disregard Romans 6, 7, and 8, or worse yet, contradict those chapters. So why in the world is Galatians 2:20 worded this way? First, remember, it is ONE verse, and unlike any other verse about justification. Is this some sort of thumbnail statement that represents the corpus of Paul’s teachings on justification? I think that is very likely. Paul bemoans throughout his letter to the Galatians that he had invested all kinds of time in teaching them about law and gospel. It is very likely that this is a bumper sticker statement that represents the corpus of that teaching. If this verse says what purveyors of progressive justification say that it says, the rest of Pauline soteriology is clearly and completely upside down. But be certain of this: this teaching of Galatians 2:20 is exactly why the institutional church looks like it does today. It is a return to Pharisee-like antinomianism traditions. It was in fact the Judaizers that were troubling the saints at Galatia. With that, let’s go to the phones. We are finally back to our study in the book of Romans. We have the last two chapters left, and this morning we resume at verse one in chapter 15. The first eleven chapters are a heavy dose of justification, and what we have learned from them has radically transformed our lives. A lot of Bible “learning” unfortunately comes from second hand knowledge rather than God speaking directly to us. After learning many things about justification in the first eleven chapters, we are now learning many things about the roles of Christians in kingdom living. One we should take note of is that there is NO horizontal authority among God’s people. Elders aid believers in exploiting the full potential of their hope—they have no authority. God’s assembly is not an institution. Institutions are always defined by some kind of authority structure. Authority necessarily needs something to be in charge of, and at least within the walls of the institutional church, it is in charge of truth which leads to orthodoxy. An explanation of truth that is a commentary between God and everyday people is a troubling idea in and of itself. Once you concede that there is horizontal authority in the church, the logical questions that follow are not only troubling, but are answered by the slippery slope of Protestant tyranny. Authority is conceded, but the specific bounds are the elephant in the room because history shows that the church is utterly unable to restrain its own authority. As John Immel often notes, “polity,” or church polity is a soft term for church government. This all implies an authority over truth on behalf of God. There is no orthodoxy—only truth. There is no church government—only gifts, and there is no authority other than Christ. “Neighbors” is really a word that refers to someone close. It doesn’t exclude the literal neighbors of the hearers, but primarily refers to the fellow believers at Rome. Notice that this verse is an exhortation to the “strong,” and “each of us” in general should focus on building others up. This is a glaring pattern in the New Testament. The call to build up the body is to everyone and those we usually deem as God’s authoritarians are conspicuously missing throughout Scripture. In regard to the all-important elders and pastors, where are they? An inspection of Scripture in regard to this question reveals a stunning reality: elders and pastors have little significance in the New Testament. The emphasis is everyone working together for the building up of the body which as we will see includes a call to ministry usually ascribed to pastors and elders. Where are the elders? And who are all of these people who are supposed to be doing their jobs? Let’s look at the word, “shepherd,” as in, you know, John MacArthur’s annual “Shepherd’s Conference.” The word (poimēn) appears 17 times in the New Testament and mostly refers to Christ or literal shepherds of herds. As far as I can tell, the word is only used once in regard to a pastor and that is in Ephesians 4:11. Think about that, reference to pastors as a shepherd appears ONCE in the New Testament. Let’s look at “overseer.” The word (episkopos) appears five times in the New Testament. It refers to pastors once in Acts, once in 1Timothy, Once in Titus, Once in Philippians, and a reference in 1Peter about Christ. Let’s look at the word “bishop.” See, “overseer.” Again, these two words are used interchangeably for the same Greek word in the English translations. But most telling is where these words are not used. In the magnum opus of justification, Romans, elders are not spoken of in any way, shape, or form. In the magnum opus of correction, the two letters to the Corinthians, again, there is no mention of pastors or their supposed roles even in Christianity gone wild. Of the 27 New Testament letters, at least 19 are corrective and address false doctrine, yet as mentioned before, a direct reference to pastors only occur in about five books. Only three books address leadership specifically with the remainder always addressing the congregation as a whole. Even in regard to the letters addressed to individuals, they were obviously intended to be made very public as well. But most astounding is the fact that throughout the Scriptures those who are primarily addressed, the general congregation of God’s people, are called on to do ministries that we usually attribute to the “qualified pastorate.” And we will continue to see that throughout this study as well. The Scriptures were written to “teach us.” This is a direct line of sight from the Bible to believers in general. Nowhere in Scripture is there any merit for an orthodoxy overseen by elitist teachers or elders. Listen, this is it in a nutshell: the goal of one mind in Christ resulting in one voice. You decide from what we have learned in the past two lessons; does Paul say that is a result of blind obedience to authority, or is everyone to be convinced in their own mind? Granted, persuading those who are free to follow their own conscience is hard work. But that is the calling of a true elder. The New Testament does not endorse the dictation of truth in any way, shape, or form. When Paul writes, “Accept one another, then, just as Christ accepted you, in order to bring praise to God” he is talking about Jew and Gentile, he is writing about the mystery of the gospel. Remember what that is? It is God’s promise that He would bring Jew and Gentile together into one body for His praise and glory. And I do not think that goal has ceased—this is still the mystery of the gospel. This is why anti-Semitism is completely unacceptable among confessing Christians. Listen, any separation gospel or supersessionism is a blatant denial of the gospel. And this is yet another lost aspect of Christianity that must be recultivated; that is, the mystery of the gospel. Jew and Gentile worshipping together in unity is a major source of glorification. This opportunity is probably lost to a great degree because of Jewish customs that are no longer recognized by Christians. We know that Christ’s assemblies recognized Passover for at least 200 years after Christ’s ascension. 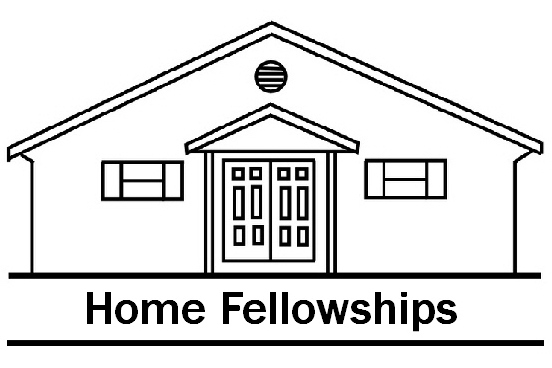 As home fellowships learn and grow, I think we will see the power of God’s word come alive to His glory in many-faceted ways. Also, let’s note Paul’s use of the Scriptures to make his case in citing three Old Testament passages. This speaks to the continuity and truth that guides us. Once again, on the one hand, we see a sparse emphasis on elders in the New Testament while God’s people in general are told to do the tasks and ministries that are usually attributed to the “expertise” of the elder. I myself am convinced, my brothers and sisters, that you yourselves are full of goodness, filled with knowledge and competent to instruct one another. The fact that the institutional church pays pastor’s CEO-like wages for something that God’s people are called on to do leaves one dumbfounded in the face of how powerful the traditions of men are. The Scriptures are clear as to what roles pastor’s play in Christ’s assembly. Ephesians 4:11 – So Christ himself gave the apostles, the prophets, the evangelists, the pastors and teachers, 12 to equip his people for works of service, so that the body of Christ may be built up 13 until we all reach unity in the faith and in the knowledge of the Son of God and become mature, attaining to the whole measure of the fullness of Christ. First of all, some of these gifts are starter gifts. Prophets were a temporary gift to the church to get things started. But at any rate, these are “gifts” and not offices of authority. Pastors are not mediators or authoritarians. The office of mediator between man and God and the authority thereof is the exclusive office of Christ. Unity in regard to a single truth is not by authority, but as each Christian is “convinced in their own mind” (Rom 14:5). The apostles who were the forerunners of the elders (1Pet 5:1), and continually beseeched the saints to be “one mind in Christ” (Rom 15:6, Phil 2:2, 1Cor 1:10, 1Pet 3:8, 1Cor 2:16). Key to this unity and cooperation is a proper biblical ministry model. Listen, if the mystery of the gospel is the joining of Jew and Gentile into one body, who’s in charge? That’s an interesting question, no? The answer is that no one in these two groups has authority—it’s a cooperation of gifts under one head which is Christ. What is the biblical ministry model? Ephesians 4:4 – There is one body and one Spirit—just as you were called to the one hope that belongs to your call— 5 one Lord, one faith, one baptism, 6 one God and Father of all, who is over all and through all and in all. When Christ arrived on the scene and began preaching the good news of the kingdom of God, it was in the midst of a Jewish religious community heavily predicated on hierarchy and authority. Judaism was an institutional monstrosity fraught with the traditions of the Jewish sages and ruling sects. The issue of Jesus’ lack of formal authority in institutional Judaism is a constant theme throughout the gospels. This is the reason Jesus came performing authenticating miracles—if you were not a recognized religious authority in that day, your ministry was going nowhere. Jesus broke the cycle and ushered in a new ministry model. Today, we don’t have authenticating miracles to validate our message, but we do have the testimony of the Scriptures. Regardless of the massive religious system of that day, Christ made it clear that the people were “sheep without a shepherd.” They were not led. Jesus was not talking about a lack in the people being ruled over, there was plenty of that, He was talking about the people not being led in the truth. The new way is a body of believers working together in mutual edification according to the gifts given them by God—a faith working through love. It is unity in one truth according to the way the one master thinks, and that one master is Christ. We are baptized once into one body with one head—one master—one Lord. Our calling is unity in the one body and its maturity to God’s glory. Over and over and over again the apostles “appeal” to love and unity—NOT authority. It is a cooperation of gifts that are obedient to the one Master. In the rest of chapter 15 and also chapter 16, we see this in action bigtime.